In 2007, Indianola Children’s Center (ICC) began developing their outdoor space from a playground to an outdoor classroom. In 2007, Indianola Children’s Center (ICC) began developing their outdoor space from a playground to an outdoor classroom. Distinctions were made as to where activities should be happening. With each stage of the long-term process, the teachers began to take ownership of the space. 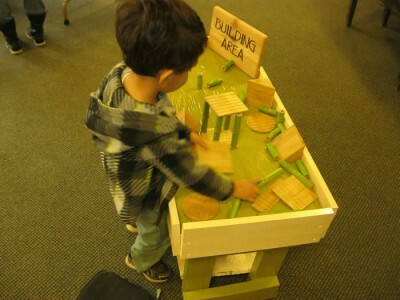 They observed how the children were playing, what they were doing, and how they were utilizing or not utilizing spaces. Lead teachers, Val Whitton and Autumn Brown, provided collaboration, planning, structure and communication regarding the use of the outdoor space. As this developed, teachers and aides more easily identified the space as an actual working classroom with outdoor learning and activities becoming conscious, planned and successful. Teachers and children enjoy the calm and curiosity which comes with structuring the outdoor space as a learning environment. Over time, ICC staff and volunteers have replaced the more mainstream plastic toys and equipment with a wide variety of natural materials. Clearly labeled storage, housed in close proximity to each of the areas, and has been crucial to implementation. ICC offers a family co-op component. Thus, parents can help provide necessary maintenance and physical labor support, in exchange for a portion of their tuition. 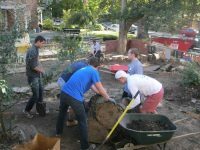 Located within The Ohio State University area, ICC has access to fraternity and sorority neighbors who help by providing volunteers for service projects. 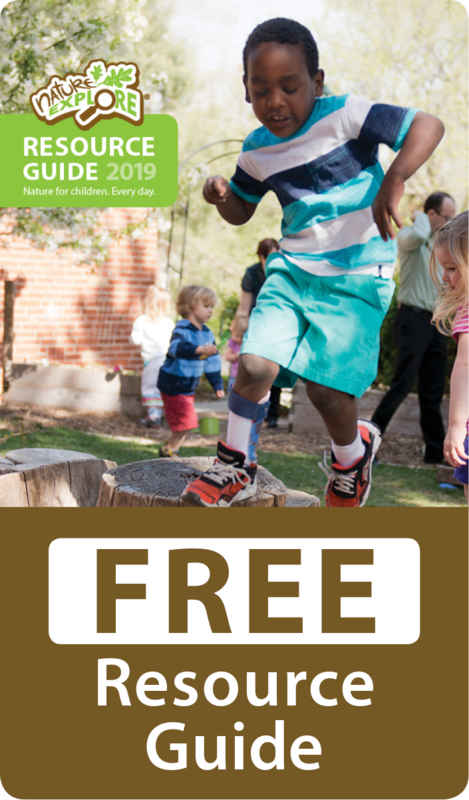 Amy Dutt, a landscape designer with Urban Wild who specializes in playscapes and rain garden designs, continues to assist with on-going guidance. Amy and Tina led a team of church members, board members, staff and family members through a design charette process in 2010. That process led to the installation of a 550 gallon rain barrel and water play feature which was funded through the Ohio Environmental Protection Agency (EPA) Ohio Educational Fund (OEEF) Mini-Grant. In 2012, ICC was awarded the OEEF’s “Outstanding Project” for this water play feature. This year, they were also awarded the Columbus Green Spot-Light award for the small business/non-profit category. Each spring and fall, ICC conducts a “work day” which includes parents, families, staff, community members, such as Columbus Green Deeds, Earth Day and/or Pay It Forward projects, to do maintenance and updates on the outdoor space. 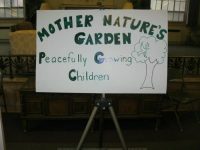 Parents and community members all worked towards the outdoor classroom certification.